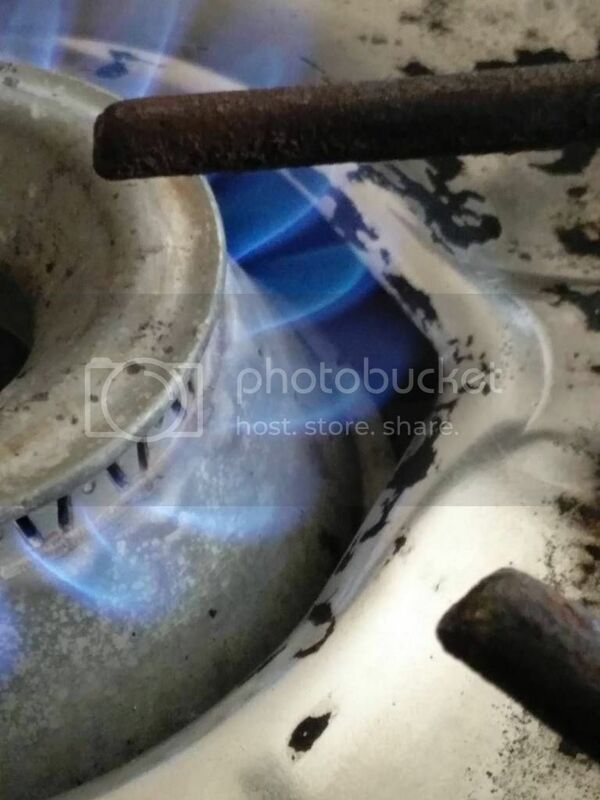 Guides for gas and electric stove, range, and oven repair. 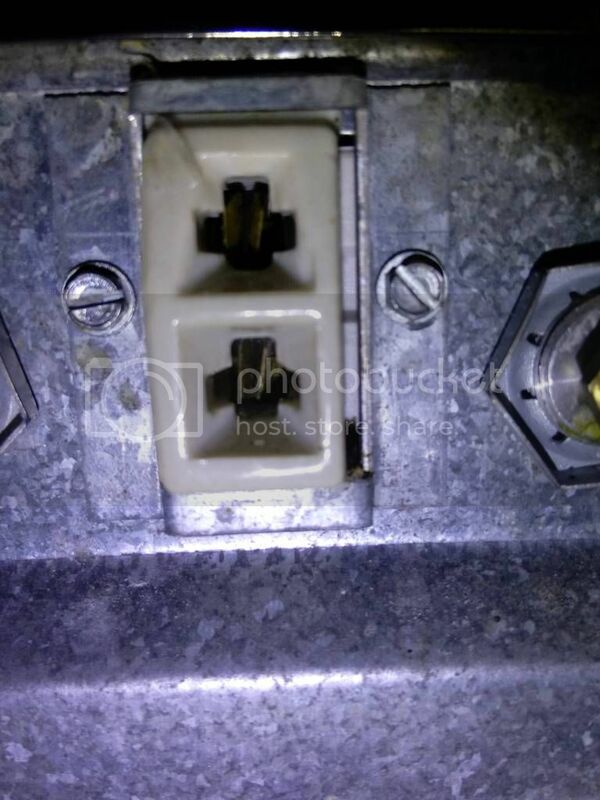 Why won't my gas stove ignite? I have a Modern Maid KGT-693 U Gas Stove. 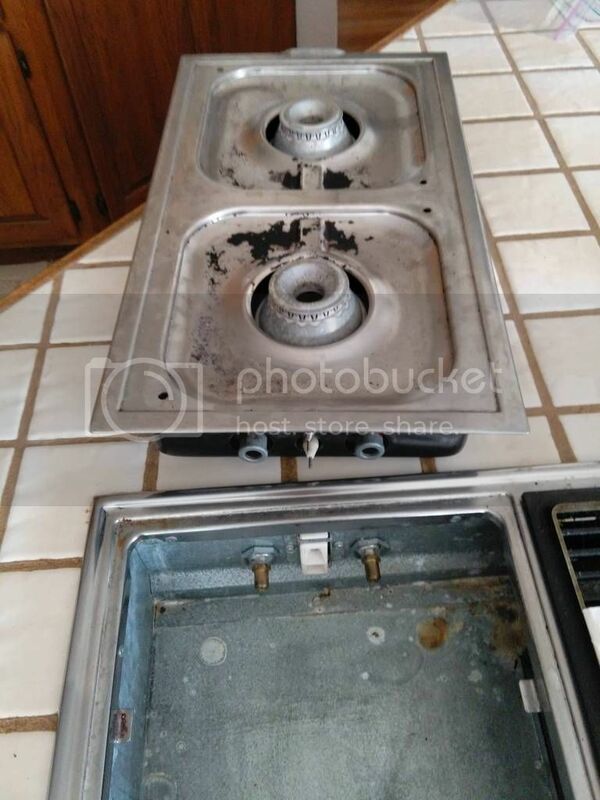 Yesterday, I removed the drip pan and cleaned out tons of leftover food and grease. However, when I put it back, only one of the burners would ignite. The other one worked fine. I thought that it might be because it was wet, so I waited one day. Unfortunately, after 24 hours, one of them still isn't working. When I turn it on, I can smell the gas, but it doesn't ignite. It was working fine before I cleaned it. I did some research and they said to make sure the holes were clear, which I did. I also made sure that there was no food residue blocking anything. So, the problem with one of the burners is that there is gas but no spark. Can you light these burners with a match? Before trying, blow some air into the space to blow away any gas that is there, in order to avoid an explosion hazard. 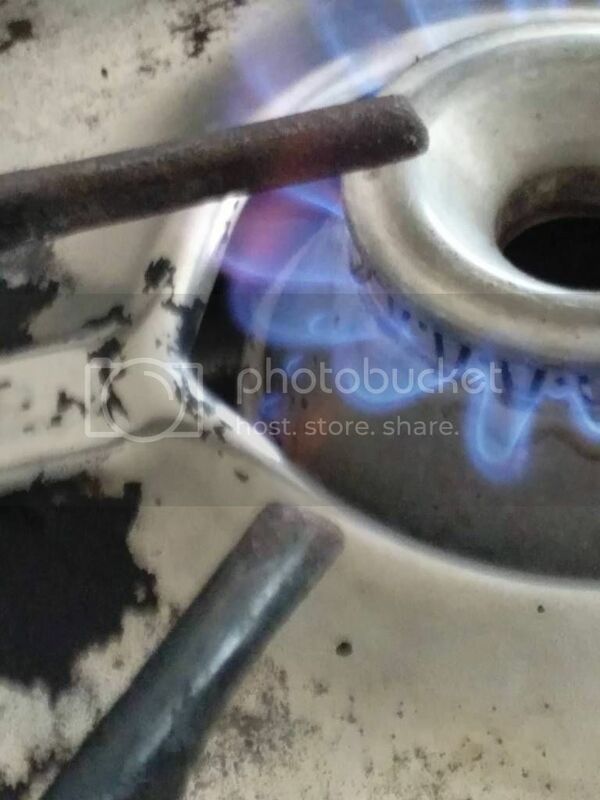 Once you have done that, testing one burner at a time, try to light them with a match. If they will light with a match, look at the flame. See if it is good all around. If it is bad in some spots, then you need to clean out those holes so that the gas can get out evenly. If one will light with the igniter, then the problem is at the burner; the rest of the ignition system is good. Compare the position, alignment, etc. of the igniter that works with the one that doesn't work. It may be as simple as repositioning the igniter. I used a match as you said, and it lit up fine. However, I did notice one problem. There are no flames coming out of the three holes. I did clean them out...maybe I didn't do a good enough job. Update: well, I stuck a needle two inches into those three holes, and still no ignition. Ok, I finally fixed it...(sigh of relief). I'm not entirely sure which solution fixed it. I used a pair of tweezers on the ignitor to put them closer together. Although, it looked like it just moved back into place. After, I removed the drip pan, I turned it upside down to empty some crumbs that were left over. When I did this, some "black powder" came out from the burner. I shook the dust pan and more black powder came out...followed by more and more. I kept on shaking until it finally stopped. Then I put it back into place and it worked. I'm thinking that there was so much black powder, that it was blocking the airways or something. Thank you for your help MrJimPhelps. Update: There is one thing odd though...when I turn it on, the flames come up one after the other. As for the one that worked previously, the flames for that one come up all at once. Is there a way to fix this? My guess is that you need to clean it better. There is either some ash or maybe some corrosion built up in the path of the gas, causing some of the holes to be slower than others. If you can't clean it any better, then try swapping one or more parts between the burners, one part at a time. This will help you to see which part is causing the problem. You can then either try to clean that part better, or you can buy a new part to replace the bad one. Tosh Hida será eternamente grato(a).